Jack Johnston from Clogher has been involved in teaching, writing and publishing local history for 40 years and has worked over much of Ulster and North Connacht. His publications include chapters in the Tyrone and Fermanagh volumes of the History and Society series (ed. by W Nolan). His local history publications cover titles in Tyrone, Monaghan, Cavan, Fermanagh and Sligo. He was, until last year the editor of The Spark, a local history review published in the border counties. He is a former trustee of the Ulster Folk and Transport Museum and was secretary of Clogher Historical Society for 18 years. He is a former Director of the annual William Carleton Summer School and is currently President of the Society. He is a Governor of the Linenhall Library and is also a Justice of the Peace. Image. 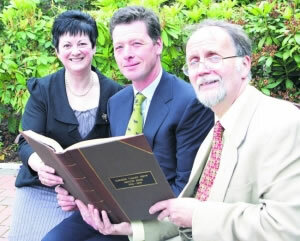 Jack Johnston (right) presenting the restored original minutes book of the Clogher Valley Show to Show Chairman, Nicholas Lowry and Show secretary, Ruth Montgomery at the launch of this year’s event at Corick House, Clogher. Evelyn Cardwell is a native of County Tyrone, where she still resides and is very proud of her rural roots. A history graduate of Queens University Belfast, Evelyn was also awarded the degree of Master of Social Sciences in Irish Migration History (QUB) in the year 2000. Her first career as a history teacher was followed by 21 years as Education Officer in the Ulster American Folk Park, Omagh, an open-air museum, where she was responsible for the creation and implementation of learning programmes in the Park. Latterly Head of Learning in the Ulster Folk and Transport Museum (National Museums Northern Ireland). Evelyn’s interest in local history was nurtured in the early days by the late Dr Bill Crawford during a one year teacher research secondment at the Public Record Office of Northern Ireland. She was a founder member of Donaghmore Historical Society (1984) and its first secretary for 13 years. She also served as a committee member of the Federation for Ulster Local Studies for 10 years during which time she organised a number of local history courses for teachers. She has researched widely on local history in the Dungannon area, particularly aspects of its social, economic and emigration history and more recently has carried out in depth research on her personal family history, at local, national and international level. Kay Muhr grew up in rural Cambridgeshire, although her father was half Swedish and her mother is a New Zealand Scot. She read Celtic Studies at Edinburgh 1966-70 and gained a PhD on narrative style in traditional Gaelic literature.. After a postdoctoral fellowship in the Institute of Irish Studies at Queen’s, she became a research fellow on the Ordnance Survey Memoir project in 1984. She has been Senior Research Fellow of the Northern Ireland Place-Name Project in Irish and Celtic Studies since its foundation in 1987. She is the author of Place-Names of Northern Ireland vol. VI: North West Down / Iveagh, and of the text of the millennium touring exhibition and booklet called Celebrating Ulster’s Townlands. She has written on Early Irish literature: the use of place-names in the Ulster Cycle tales (Ulidia, Emania, Seanchas Ard Mhacha), and on mythology (water imagery in Early Irish). Her research interests continue to span Ireland, Scotland, and the Isle of Man, including language, culture, oral tradition and place-names, and her favourite relaxation is exploring the countryside. John Dooher graduated from Queen’s University in 1968 with a commendation in History and completed an MA degree at the New University of Ulster in 1978 and was awarded an MPhil in 1986 for his thesis on Tyrone Nationalism and the question of Partition 1910 – 25. He taught in Strabane from 1965 until 2002 and was closely associated with the innovations in the teaching of History in that era, benefitting from a year’s research secondment at the Ulster American Folk Park in 1986-87 and at the Institute of Irish Studies at Queen’s in 1989-90. He was a founding member of Strabane History Society in 1989 and contributed to and edited a number of their local journals in the years since then. He was lead editor and main contributor in the landmark local publication, The Fair River Valley – Strabane through the Ages and has contributed to a number of other local history journals over the years, as well as providing talks and presentations on Pre Famine Ulster to various seminars and local group programmes. He contributed a chapter to Dr W. H. Crawford’s acclaimed book, Townlands in Ulster and compiled a resources pack on the Ordnance Survey Memoirs – Living and working in Pre-Famine Ulster – a Documentary Selection for the Northern Ireland Centre for Learning Resources in 1991. 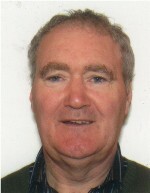 John joined the executive committee of the Federation for Ulster Local Studies in 1993 and has been an active member for much of the period since then, serving as chairman in 1996-98 and on three further occasions. He edited the Federation journal Ulster Local Studies in the period 1995 – 98 and has been editor of its successor, Due North, in many of the years since 2008. He served for a short time in the Trust in the years 1997-98 and rejoined in 2005, contributing to its seminar programme and providing guidance to individuals and groups wishing to produce books and journals. In recent years he has helped in the editing of Trust publications arising from the seminars on key historical themes, working with Dr Brendan Scott in the editing of the most recent book, Plantation: Aspects of seventeenth century Ulster society. John also served for a period in the Ulster History Circle and currently represents FULS on the NIPR advisory panel. Graham Mawhinney lives in the townland of Labby, near Draperstown, in the parish of Ballinascreen. The small farm on which he lives has been occupied by his family for at least six generations. His university qualifications are in physics and, for 31 years, he was successively physics teacher, Head of Science and Senior Teacher in Magherafelt High School before taking early retirement. 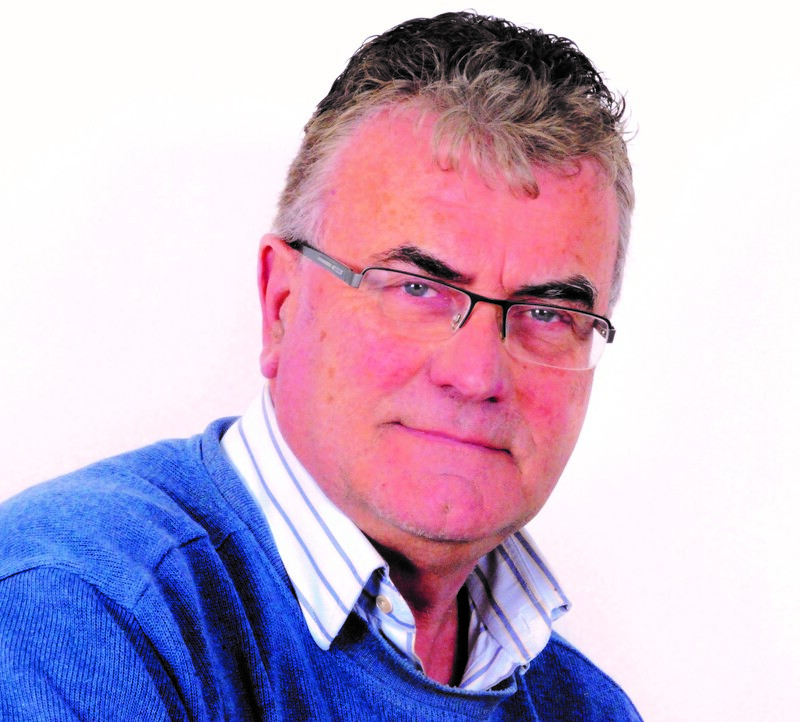 As a founder member (1980) and past chairman of Ballinascreen Historical Society he has had some input into most of the Society’s 34 publications and is actively involved in the Society’s on-going work. Graham has also written, edited and compiled many local history books under the Moyola Books imprint. 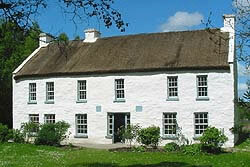 The subject matter has varied greatly but is generally either related to South Derry or to Irish Presbyterian history. He has contributed to many books e.g. Townlands in Ulster – Local History Studies – eds. Crawford & Foy (Ulster Historical Foundation & Federation for Ulster Local Studies, 1998), to name a few. Born in Ballyshannon in the Coast Guard Cottages, eldest son of Brian Cunningham N.T. a native of Donaghmoyne, Co., Monaghan and Mae Eves, Ederney. Attended Lettercran N.S., near Pettigo, St. Michael’s College, Enniskillen and St. Joseph’s Training College, Belfast and became a school teacher. Took Open University degree and M.A. at Durham University. Retired as Headmaster of St. Davog’s P.S. 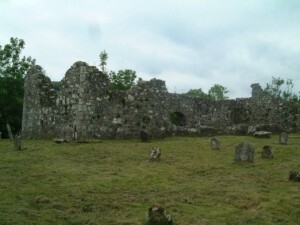 Belleek in 1996 to write, lecture and work as a genealogist and tour guide. His first printed article appeared in the Donegal Magazine produced by the Donegal Democrat in 1977. This was an article on Castle Caldwell. 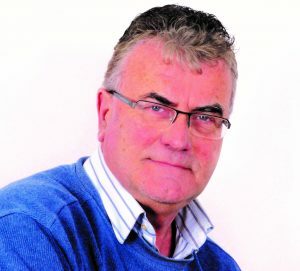 He has numerous articles in historical journals such as the Donegal Annual, Clogher Record, The Spark, Ulster Local Studies, Familia, Irish Sword, Computer Education, Queen’s University Teachers’ Centre History Journal, Ulster Genealogical and Historical Guild, The Septs, etc. His first book was published in 1980 and he continues to publish today. Between books contributed to and those produced by John Cunningham the total is around 40 volumes in all. 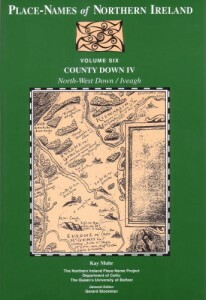 including An Historical, Environmental and Cultural Atlas of County Donegal, (Cork University Press, 2013) which he co-edited with Jim MacLaughlin. Having completed a Ph.D in history at Magee College, University of Ulster, he recently published Donegal in Transition – the Impact of the Congested Districts Board (Merrion, 2013). In 2012, he was awarded an honorary degree by the National University of Ireland, Galway for his contribution to historical research. Roddy Hegarty lives in Belfast and is currently Director of the Cardinal Tomás Ó Fiaich Memorial Library & Archive in Armagh. A previous chairman of the Federation For Ulster Local Studies, he lectures widely on a large variety of historical topics and family history. He was appointed to the Board of the Northern Ireland Museums Council in 2012.